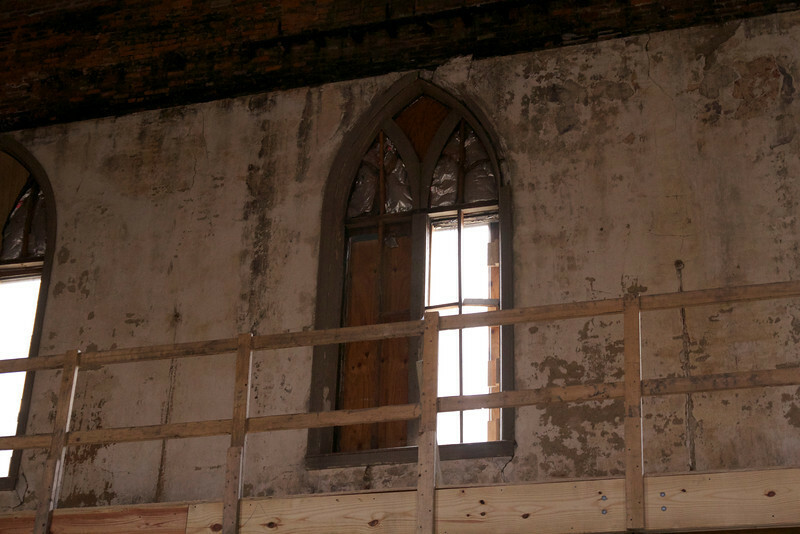 Prince of Peace Lutheran in Over the Rhine is in the process of rebuilding. The original structure needs shoring up and a lot of repair before it can be used as a public building again. The pictures that look like work in process are from Prince of Peace.